PAKISTAN’S Election 2018 is proving to be an unprecedented affair in the country’s history. Not only have some of the formal gestures that used to be made in favour of the alien concept of democratic choice in the bad old days become redundant, but the result of free, fair and secret polls too has already become known. The only secret left is how a consensus prime minister will jump out of the magician’s hat. The political parties have lost some of their old feathers and acquired some new ones that do not go well with their traditional plumage. They have freed themselves of the obligation of discussing with the people the issues facing the country and ways of resolving them through extended debates on their manifestos. Many observers have concluded that the delayed release of the manifestos of major contenders, when the polls are only a few weeks away and people have little time to discuss them, implies that such documents have become irrelevant. This view is supported by the contents of the manifestos. Instead of beginning with objective analyses of the country’s main problems and offering realistic ideas to overcome them, a simpler method has found favour with most parties, ie a list of public grievances is drawn up and the removal of complaints is promised, without any indication of the means of doing so. Gen Zia’s followers have superseded him by developing a model that could be offered to the world as the ‘ideal’ poll. Thus it is possible to talk of deepening democracy without explaining what a democratic dispensation means or to pledge support to the peasantry without mentioning land reforms. There is little realisation by the parties that their declining interest in drawing up manifestos, persuading their leaders to read them and using them as the basis of their politics amounts to their rejection of the politics of commitments shared with the people. It also amounts to telling the citizens that they are free to choose their representatives for extra-political reasons — an easy way to get rid of democratic feelings. The political parties have also yielded their position to the so-called electables. The electability of a candidate was always taken into account before awarding him a party ticket. This meant that in addition to the party’s pull and the availability of party cadres for election chores, the candidate had a personal or biradari-based standing in the constituency, and had money to spend and also to contribute to the party’s or leadership’s coffers. An electable candidate was usually subject to the party’s authority. Now he can dictate to the party. 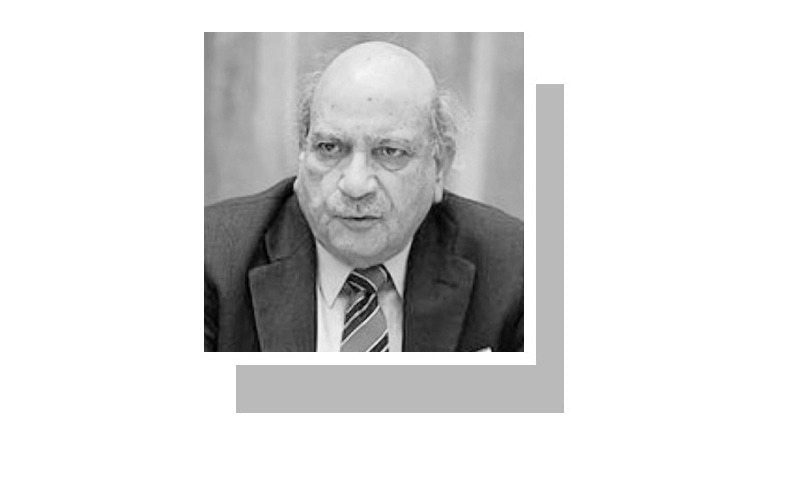 The party that abandoned its first choice for a caretaker chief minister was not shy of offering electables’ veto as the reason. Further, poaching electables from rival parties’ yards has become a distinctive feature of this year’s electioneering. The word ‘turncoat’ may stay in the dictionary but it has been washed clean of all opprobrium. And poaching has not been limited to amateurs; professionals enjoying a fairly decisive hold over the politicians have played a leading part in showing them the right path. The way a leading party has been stripped to its bones will attract research scholars around the world for a number of years. Much noise has been made about pre-poll rigging and of the environment becoming less and less conducive to fair balloting not only by political parties, who may well be prone to exaggeration, but also by independent observers. What has been done to stop this unlawful activity? This noise could be heard by the deaf but it was not heard by the concerned authority. The Election Commission of Pakistan is reported to have asked provincial governments to take some action on a couple of complaints but there is no report on the record regarding the result of its intervention. One of the most blatant examples of pre-poll rigging is the unlawful campaign to strangulate this paper. The matter relates to the requisites of free and fair polls as much as it constitutes a serious challenge to the media’s right to freedom of expression, the freedom of the press, and the people’s right to know. For weeks together, the public and the authorities both have been offered detailed evidence of the methods being used to prevent the daily’s distribution, but nothing has been done by any authority to stop this brigandage. For the sake of making matters clear, it may be pointed out that any attempt to deny the people access to reports of and comment on current electoral issues amounts to manipulating the election and must be dealt with as such. Finally, the apparent powerlessness of the caretaker governments to effectively override the autonomous establishment’s will and fulfil their primary duty of ensuring free and fair elections, apart from repeating some favourite clichés ad nauseam, makes a case for revisiting the constitutional amendment under which the establishment of caretaker governments was made mandatory. No incumbent government might have managed to do what has been done under the canopy of the caretakers. To Gen Ziaul Haq, free and fair elections meant an exercise that produced positive results by his reckoning. His followers have superseded him by developing a model that could be offered to the world as a perfect election. It is difficult not to sympathise with the people who will continue discussing the electoral prospects of various parties and candidates till July 25. This is so because the only thing to be learnt that day will be the number of voters who will keep their faith in democratic choice during the country’s largest-ever election management exercise. Meanwhile, the best thing for the political pundits to do is to repair to the libraries and revisit the role of the religious extremists and intolerant usurpers of a community’s moral authority in the fall of the Muslim kingdoms of Spain or the degeneration of the French Revolution into the Reign of Terror in the closing years of 18th century and the ultimate replacement of the republic with a monarchy headed by the kin and kith of a man of war from Corsica. Sir I.A.Rehman, I always have a deep respect for your writing, today again you said it all when you wrote "only thing to be learnt that day will be the number of voters who will keep their faith in democratic choice during the country’s largest-ever election management exercise"
Even though the political parties would mention objective problems and potential solutions in their manifestos, what guarantee they would try the solution of the problems, as exemplified by political history. Secondly, poaching of electables is not a new practice, in my least knowledge, it is ubiquitous in every election. A well written article on a farcical process that is going on.